True Power of the Palo Special! Yudetamago announced today that they were commissioned by Marvel and Jump Comics to do an official piece of artwork to promote the upcoming "Avengers series" movies in Japan. The Kinnikuman Universe styled Marvel heroes will first appear in an upcoming issue of WSJ. Posters will then be included as premiums for the first 500 Japanese presale tickets sold for Captain America: The Winter Solider and Thor: The Dark World. 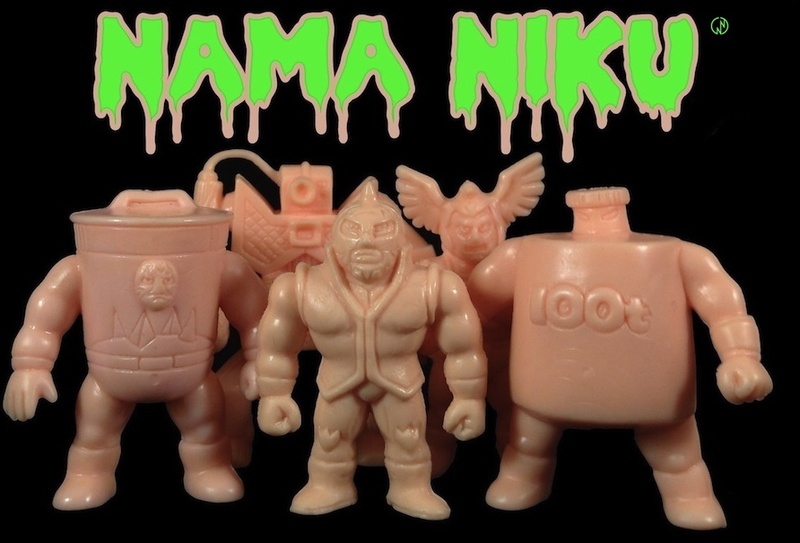 This is very exciting news for American Comic Book fans who also read Kinnikuman. It is rather rare to see collaborations like this between publishers, let alone American comic collaborations with Yudetamago. 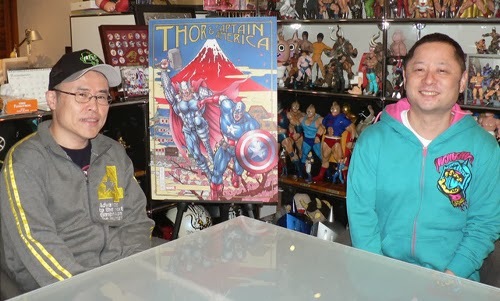 I am very impressed with Nakai-sensei's rendition of both Thor and Cap. They look like they are about to jump right into a ring with Kinnikuman and help the rest of the Seigi Choujin take on Akuma Shogun! I also thought that it was a nice touch where he added famous Kinnikuman battlegrounds from the Kinniku Throne and Dream Tag Arcs. Fantastic work all around, and many Congratulations to Yudetamago!